1)	Give up to 160 young African leaders the opportunity to collaborate, learn, and network with U.S. and African resource experts and with each other during the eight YALI Connect Camps; to develop innovation strategies that build on their professional skills, engage in hands-on experience with low-bandwidth technologies, conduct community outreach, and build their capacity through mentoring, networking, and using strategic civic leadership for social change. 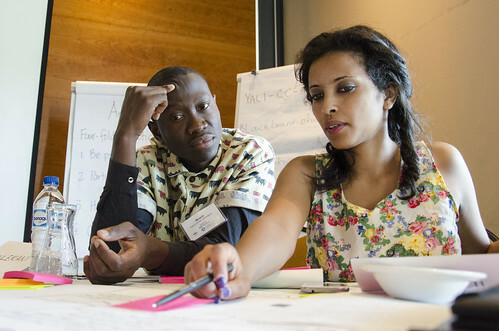 2)	Use a stimulating canvas model of leadership to develop skills in entrepreneurship and creating social change by engaging in five-days of facilitated interactive sub-group workshops, and fostering mentorship relationships between the Mandela Washington Fellow alumni and their chosen mentees for the Camp. 3)	Demonstrate some community-oriented enterprises using applied technology that supports innovation and collaboration in community development and entrepreneurship, civic leadership, and public management. 4)	Develop leadership skills among delegates through mentoring relationships, between themselves, as well as with American and African facilitators. 5)	Provide participants with opportunities for face-to-face networking and to facilitate a collaborative, innovative project or projects that further YALI goals. Various U.S. Embassies in Africa have been instrumental in the selection and coordination of hosting the Connect Camps. The YALI Connect Camps are funded by a grant from the U.S. Department of States Bureau of Educational & Cultural Affairs and administered by the Institute for International Journalism (IIJ) at Ohio University. Director of the YALI Connect Camps is Dr. Yusuf Kalyango, professor at Ohio University. Facilitators of the Camps, Dr. Judith Millesen and Ms. Faith Knutsen are affiliated with the Voinovich School of Leadership and Public Affairs at Ohio University; Mr. Kofi Essien affiliated with the Open Learning Exchange, Inc.